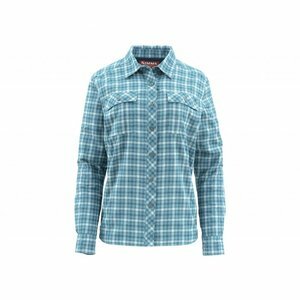 Simms Women's Guide Insulated Shirt, a full flannel shell with Dri-Release® fabric coupled with plush Primaloft® insulation in the sleeves. 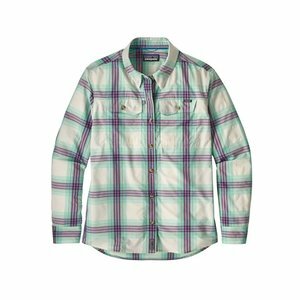 Simms Women's Guide Insulated Shirt, the multitalented Guide Insulated shirt is built to extend your fishing season. Comfort comes in the form of a full flannel shell with Dri-Release® fabric coupled with plush Primaloft® insulation in the sleeves. The tailored fit promotes long casts and precision oar pulls, while a longer back hem provides extra coverage. Finally, UPF50 tech protects against the sun while two chest pockets with button closures keep essentials on a short leash. 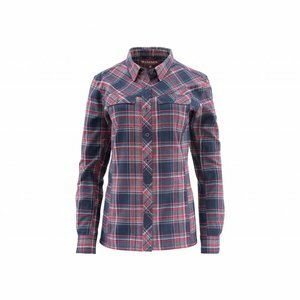 Simms Women's Primaloft Blend Flannel, cut for a flattering, feminine fit, and the soft cotton blend features PrimaLoft® for added warmth and functional outdoor versatility. 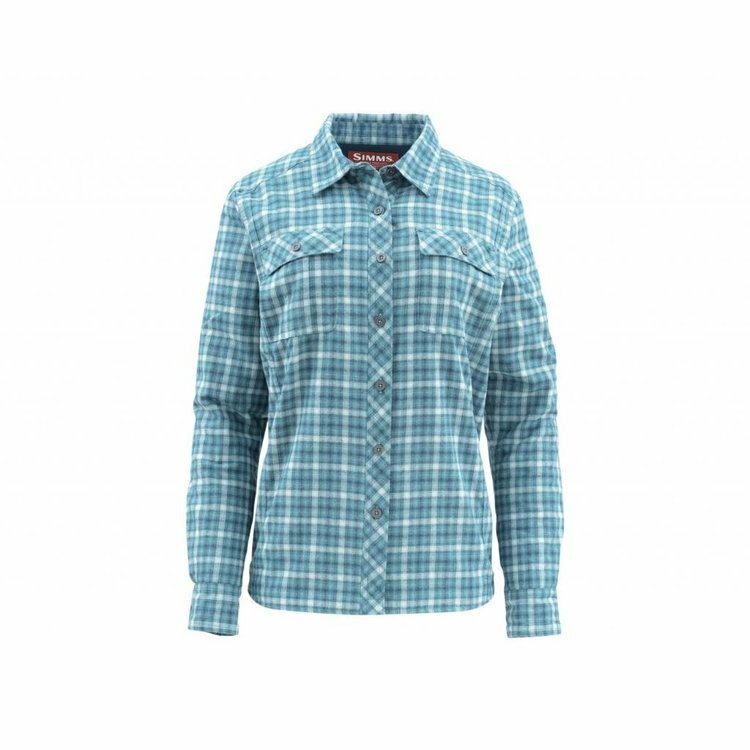 Patagonia Women's L/S Sun Stretch Shirt, Designed for warm weather fishing, Quick-drying and made from a stretchy and ultralight 2.3-oz 52% nylon/48% polyester blend. 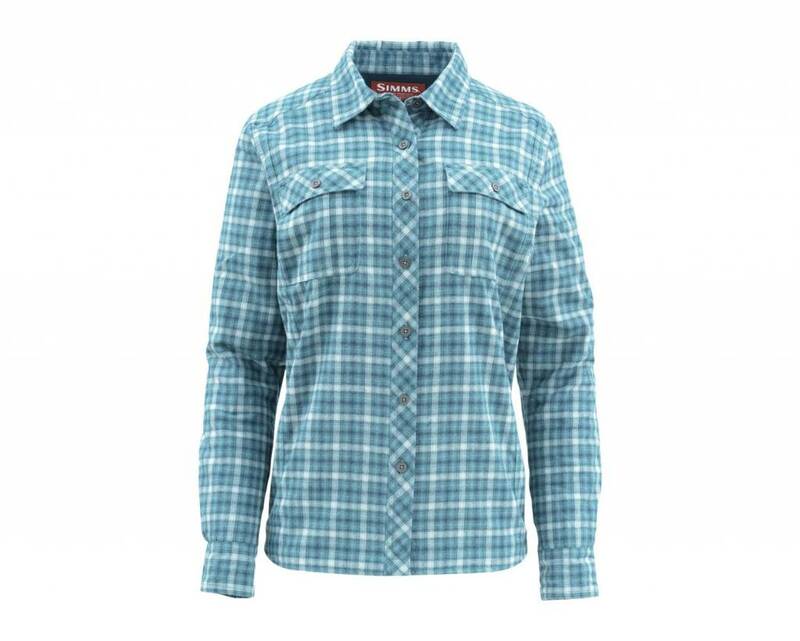 Patagonia MRFC Logo Women Sun Stretch L/S Shirt, Built for warm weather fishing, Patagonia's ultralight, fast-drying Long-Sleeved Sun Stretch Shirt. Complete with the MRFC logo! 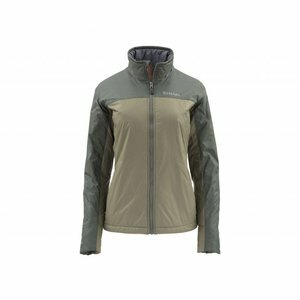 Simms Women's Midstream Insulated Jacket specifically cut for a woman's body and features PrimaLoft® Gold for the highest warmth-to-weight ratio available with synthetic insulation.